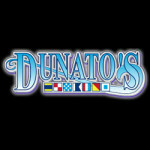 Dunato’s has been in business on Lake Union since 1970. In the past 44 years we have earned the reputation of being a quality boat repair facility. Our goal is to do the job right and not cut corners. We have pride in our work and enjoy what we do. We are a full service repair facility with experience in many different aspects of boat repair, installations, and remodeling. Recently had my Bayliner 2850 hauled out, bottom paint, zincs, etc. I am very pleased with Dunato’s service and price. Highly recommended!